This valuable study offers a rare perspective on the social and political crisis in late Imperial Russia. 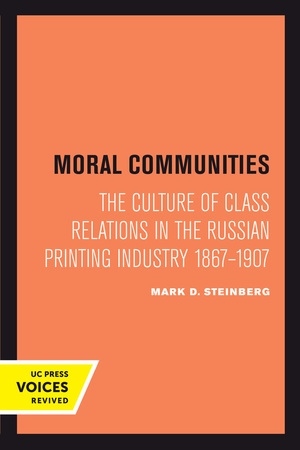 Mark D. Steinberg focuses on employers, supervisors, and workers in the printing industry as it evolved from a state-dependent handicraft to a capitalist industry. He explores class relations and the values, norms, and perceptions with which they were made meaningful. 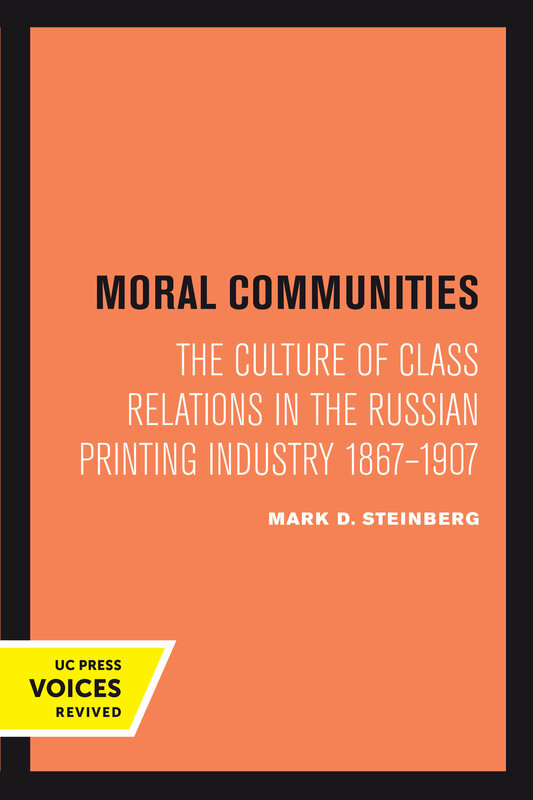 Using archival and printed sources, Steinberg examines economic changes, workplace relations, professional organizations, unions, strikes, and political activism, as well as shop customs, trade festivals, and everyday life. In rich detail he describes efforts to build a community of masters and men united by shared interests and moral norms. The collapse of this ideal in the face of growing class conflict is also explored, giving a full view of an important moment in Russian history. This title is part of UC Press's Voices Revived program, which commemorates University of California Press’s mission to seek out and cultivate the brightest minds and give them voice, reach, and impact. Drawing on a backlist dating to 1893, Voices Revived makes high-quality, peer-reviewed scholarship accessible once again using print-on-demand technology. This title was originally published in 1992. Mark D. Steinberg is Director of Graduate Studies and Professor of History at the University of Illinois.